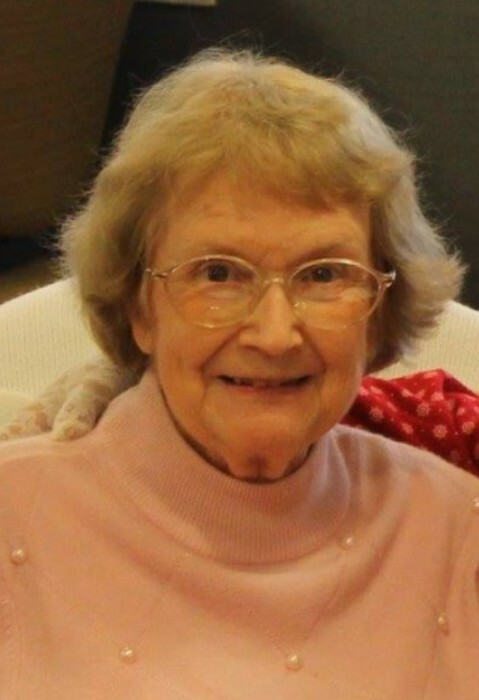 Mrs. Elizabeth T. Woods, 89, of Flemingsburg, KY passed away Tuesday, Feb. 12, 2019, at Hospice Care Center. She was born in Fleming County on November 17, 1929, to Dulcina Cooper and John Lewis Taylor. She was the oldest of three. She graduated from Fleming County High School, attended KY Wesleyan and received her Master’s degree from Eastern KY University. She was married to Fairce O. Woods in 1949 and was married for 59 years. They moved to Breathitt County where she was a secretary at BCHS. Before she had one daughter, Sandra Woods Ashley, she was a mother figure for many of the Breathitt County Boys Basketball teams. She loved to cook for her “boys”. After 16 years in her beloved Jackson, they moved to Stanton, KY where she received her teaching degree in Library Science at EKU. After teaching 1st grade, the family moved back to Flemingsburg, where she became a librarian at Fox Valley, Hillsboro and Ewing Elementary Schools. Her love for books and her love of children made a beautiful career. She retired in 1991. After her husband passed, she moved to Maysville to Kenton Pointe Assisted Living to be near her family and eventually moved in with her family the last year. She was a long time member of the First United Methodist Church in Flemingsburg, KY.
She is survived by her daughter, Sandra Woods Ashley and son-in-law, Kelly Ashley; one grandson, Patrick Flynn Ashley and his wife, Lauren S. Ashley; one sister, Cattie Fields; one brother, John Robert Taylor; a brother-in-law, Ernie Woods. She is also leaving several nieces and nephews, along with very special cousins the Murphys and the Lamberts. She was lucky to have that one special friend, Grace Herald and all her other special lady friends. Funeral service will be 1 p.m., Monday, February 18, Boone-Nickell Funeral Home with Rev. Ben Cain officiating. Mrs. Woods will be laid to rest with her husband in Fleming County Cemetery. Because she was an avid reader, please donate, in lieu of flowers, to Fleming County Public Library (202 By-Pass Blvd, Flemingsburg, KY 41041), Hospice of Hope (909 Kenton Station Drive, Maysville, KY 41056) or food for the meal to the church after the funeral at the Methodist church.